Home Cryptocurrency Is Facebook About to Launch Its Cryptocurrency? 2018 was the year of the controversy for Facebook. The social network, which had to face charges after the data leak, has seen its popularity slump. However, that did not stop Mark Zuckerberg thinking of new goals. To bounce back, Facebook has expressed interest in blockchain. Facebook has always shone with its desire to stay up-to-date with new technologies. This time, it is the cryptocurrency sector that it is targetting. The blockchain has successfully seduced Facebook. The platform intends to develop its own cryptocurrency. Although information about the project has not yet leaked, many believe that the site will not stop at a management system. The concept of cryptocurrency should be based on the possibility of using it to pay for purchases on the network. The model chosen by Facebook could be something similar to Bitcoin, which today is known to be the most powerful digital currency on the market. 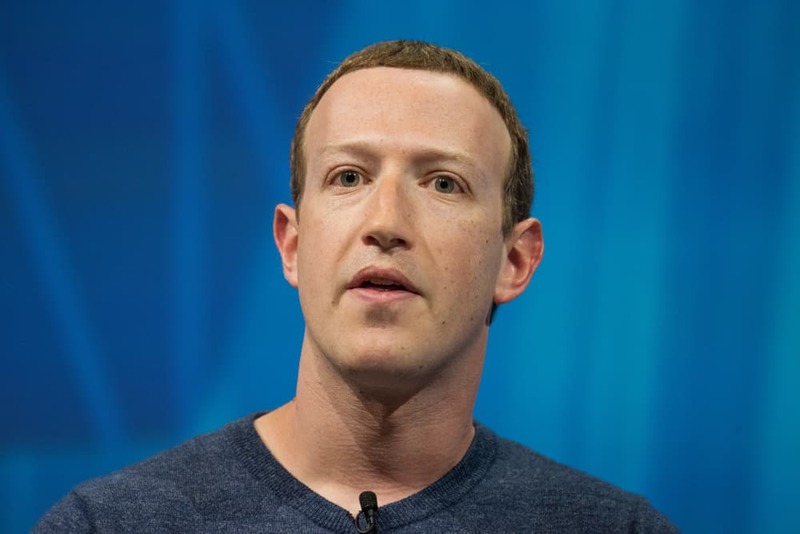 Does Zuckerberg think he’s going to compete directly with other cryptocurrencies? The ambition of the project is marked, and many speculators believe that Facebook could bring a revolution to users. Is FB cryptocurrency a promising currency? We still know very little about Facebook’s cryptocurrency. The project is currently only under study, and nothing is yet sure. The FB division dedicated to blockchain must study the various possibilities available to the social network. According to the first information that has been communicated, the cryptocurrency, if it is actually launched, could be used only for transactions on the Facebook network. Unlike Bitcoin, for example, which is used for payments and money transfers of all kinds on the blockchain, the role of the cryptocurrency FB would be limited to its own network. Thus, users could use crypto FB on the MarketPlace, for example, the platform for buying and selling objects of the social network. Cryptocurrency in practice: what is it? Just like with money in a bank account, digital currency turns into a number in a database that represents a specific value. For both currencies, such as Euros or Dollars in a bank account, and cryptocurrencies such as Bitcoin, Ethereum, and Litecoin, this number cannot be adjusted by anyone unless certain conditions are met. Cryptocurrencies can be used just like “normal” currency to make payments. Within the crypto network, payment must be confirmed by several nodes in the network, after which the transaction is recorded. This record is made on the blockchain. Investing in cryptocurrencies: how and why to do that? Although currently in a slump, cryptocurrencies have boomed in recent years. So it is not surprising that people are interested in investing in cryptocurrencies when you consider that many have received huge returns on their investments. But how exactly can you invest in cryptocurrencies? Cryptocurrencies such as Bitcoin and Ethereum are highly volatile. This means that the price can fluctuate massively in a short period of time. You can benefit from this as an investor if you take the right side of a trade. For this, you do need an account with a broker who supports cryptocurrencies. Cryptocurrency functions as a means of payment with the idea of making payments easy, fast, cheap and anonymous. Would you like to pay with cryptocurrency in your supermarket? It could be possible sooner than you think! With some cryptocurrencies, transactions are processed within a few seconds anywhere in the world. Have you ever been to a casino? Presently, there are various online casinos available on the Internet. One of them is Bitcasino, where you can place your bets using Bitcoin. Visiting online casinos which accept Bitcoin, you can play many different games. When you gamble with bitcoins or with other cryptocurrencies, you stay anonymous and deposits and withdrawals are usually processed quickly. If you’ve been paying attention over the past few years, you will know that cryptocurrencies are gaining quickly in popularity. More and more people and businesses are focusing on cryptocurrency, and it is only a matter of time before new technologies and ideas such as a Facebook crypto will emerge. Will Facebook dominate the crypto market? Only time will tell. Next articleXRP Price Prediction: Are We Making a Triple Bottom, or Is a Breakout From the Descending Wedge Imminent? Ethereum [ETH]: After Breaking Support, Are We Approaching a Bottom?